Not everyone is a gamer, yet almost everyone seems to have at least some fleeting relationship to games. In the same way that many non-sports fans might say something is “par for the course” or a “homerun” the language and significance of game terms has permeated our culture. Following are some of the most obvious examples. “All in” – Probably the most dramatic moment in any Poker game is when one player decides to risk all his or her remaining chips on a single bet. It’s not surprising, then, that the term for that play has spread to a variety of other dramatic situations. Often a person saying they are “all in” outside of a Poker game will still be referring to money or gambling in some way, but the term has also taken on an additional meaning of being fully committed or unwilling to back down. We can see the origins of these ideas in Poker – a player who is all in must really believe in their chances of success or else be too stubborn to fold, but it is interesting that the phrase has taken on a sort of positive connotation when in Poker it is basically a strategic move (one often goes “all in” as a bluff). “Do not pass Go” – This is such an odd and specific phrase that it is surprising it has been able to find any traction outside of a game of Monopoly. Even in Monopoly the phrase appears very rarely. The only situation I can think of off the top of my head is when a Chance or Community Chest card sends a player to jail then he or she goes directly to jail without circling the board first. So why would this phrase gain meaning in everyday life? What it seems to mean is that the person being spoken to must do something unpleasant immediately without deriving any beneficial side effects from it. It’s also taken on a sort of snide tone thanks to the fact it is phrased as a command and associated with a police officer dragging you off to Monopoly jail. It’s sort of a “gotcha” phrase to suggest that you aren’t going to get away with anything else. 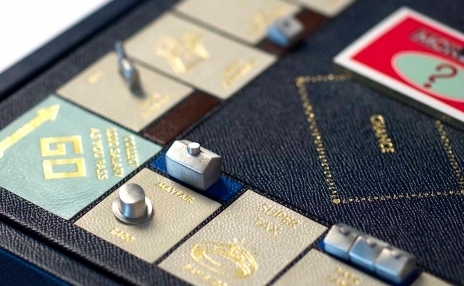 I would also suggest that traveling around and around the board in Monopoly is metaphorical for life, working week after week to get a paycheck so you have money to pay the rent. “Do not pass Go” therefore serves as an interruption in your daily routine and, perhaps, becomes more universal because of that. “Triple Word Score” – I’ve heard this phrase used a few times outside of a game of Scrabble as shorthand for a masterful move or clever play, but I‘d just like to mention how the game of Scrabble often gets represented in comedies on TV or the movies. Often a quick shot of a game of Scrabble is used to demonstrate differences in intelligence or interest. One player can only spell “Cat” while another spells “Quixote” and gets the triple word score bonus to boot. This is interesting because it shows a premium being put on vocabulary as well as strategy. Of course a big vocabulary is helpful in Scrabble, but like most games the key to success is understanding how points are scored and learning the best ways to do so. Memorizing how many of each letter are in the bag and a list of odd 2-letter words can be just as helpful as reading the dictionary, but making that one big play has become synonymous with great intelligence anyway. “Pawns” and “Checkmate” – Even more symbolic of intelligence is the game of Chess. However, Chess terms seem to be applied to a certain type of devious strategist as much as to an average Mensa member. Certainly the iconic black and white pattern on a common chessboard is an easy connection to the battle between good and evil. More important, though, is the fact that chess pieces represent people and even the king and queen are being moved around by some mastermind behind the scenes. Because the pawns have no individual identity, are the weakest piece, and often serve only to get in the way or be sacrificed as part of a trap we have come to use this term to describe anyone who is easily manipulated and replaced. Checkmate has even more interesting connotations. In Chess, it simply means that you have won the game by trapping the king. Outside of the game it seems to take on a meaning of great superiority. Saying “checkmate” not only means that you are victorious but that you completely outplayed and outwitted the opponent. I think this has something to do with the fact that in Chess you don’t actually capture the king, you just put him in a situation where there is no escape. One piece can’t do it alone, it takes a careful collaboration by multiple pieces to leave the opponent with no move. In other games you can lose through bad luck or one bad move, but in Chess it seems you lose from being totally outclassed. I’m sure this isn’t actually the case, but that’s what it feels like for outsiders who don’t play Chess much. Even if people use these phrases or images without giving their origins much thought, it’s great that the skills and social interactions of a variety of board games transcend the boundaries of the game board and enter our lives.